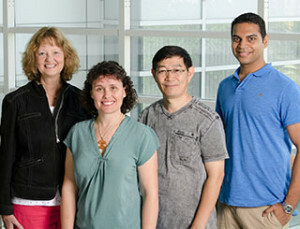 Opened in 2000, the Gene Expression and Genotyping Facility is one of many shared resources operated by the Comprehensive Cancer Center at Case Western Reserve University in Cleveland, OH. Our Facility provides resources and services for gene expression and genotyping studies utilizing the Affymetrix and Applied Biosystems platforms. In addition, the Core prepares libraries for Next Generation Sequencing, isolates nucleic acid from problematic samples [FFPE, cell sorted, etc. ], assesses nucleic quality & quantity and will work with investigators to address specialized needs centered around technologies involving nucleic acids. Outside of business hours, a sample drop-off freezer is available 24/7.